Does anyone like Fish Tacos? They have become my most recent addiction. I have had them several times in the last 3 months. I wasn't feeling good and didn't want anything for dinner, until about 7 pm. 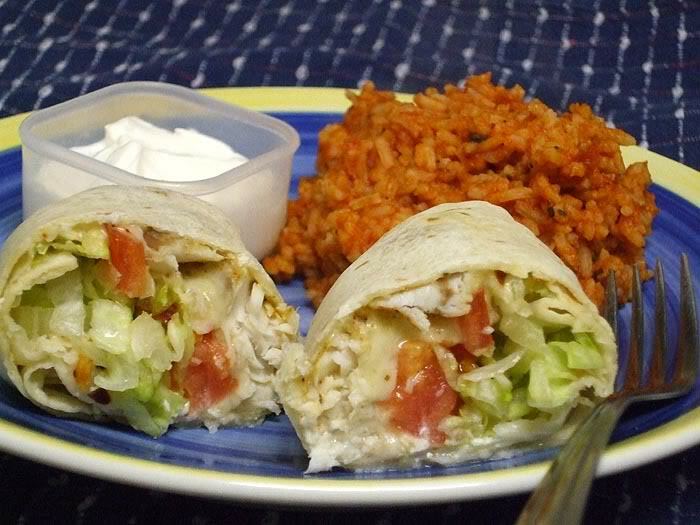 I made this recipe: (or based on it--I used a different cheese and had no salsa) On the side, I had spanish rice. Here are a couple of photos from dinner. LOL yes and we have had a couple of threads on it recently (in the last year at least). I tried one recipe off here that was tasty, and yours looks fantastic! Yeah, I like fish tacos - especially with a tall frosty margarita! Yes, I just had the pleasure of trying them for the first time a few month ago. I loved them. Yes indeedy ...... On corn a tortilla! I second that!!! Great combination. I love fish tacos and if you live in California or Nevads try Rubios. Best fish taco on the west coast. You can probably get the recipe online. A couple of times a year, Rubios features a lobster taco. Great stuff! My daughter makes fish tacos with VanCamps crispy fish filets for the kids and I think hers come real close to Rubios. I cook for at a private school and this is the way we make our fish tacos as well. 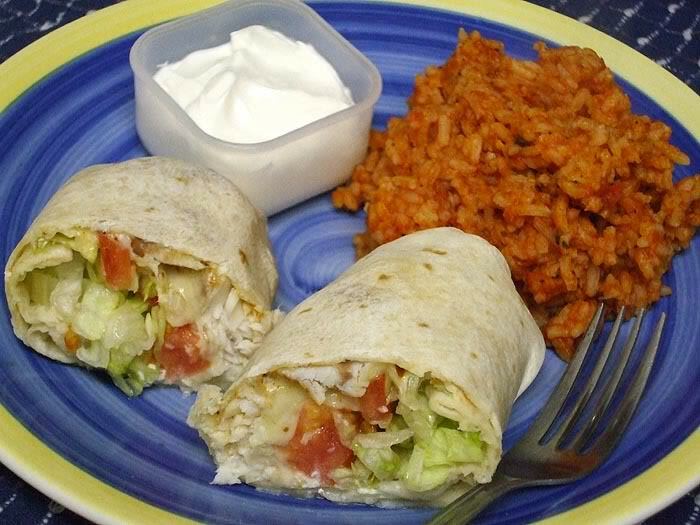 We use the super yummy fish sticks from costco, a little mango salsa and shredded cabbage....all in a corn tortilla. The kids love them. Hmm, that does sound good and I know where I can get mango salsa too!